Parts of the Big Island has a climate of sunny mornings and often damp, stormy afternoons. 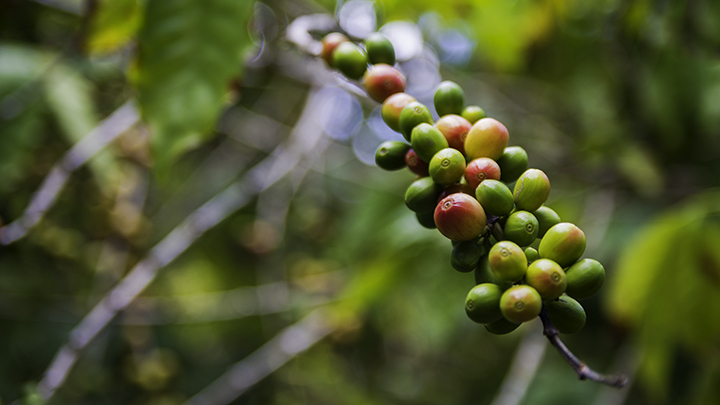 This unique weather is pattern perfect for growing coffee beans in the volcanic and mineral-rich soil. The result is an intensely flavorful kind of coffee that people know as Kona coffee. Samuel Ruggles and Henry Nicholas Greenwell were the first to bring coffee to Kona. By the 19th century, many recognized the region for its coffee plantations. Since 1845, there are records of more than 800 coffee farms in the area. 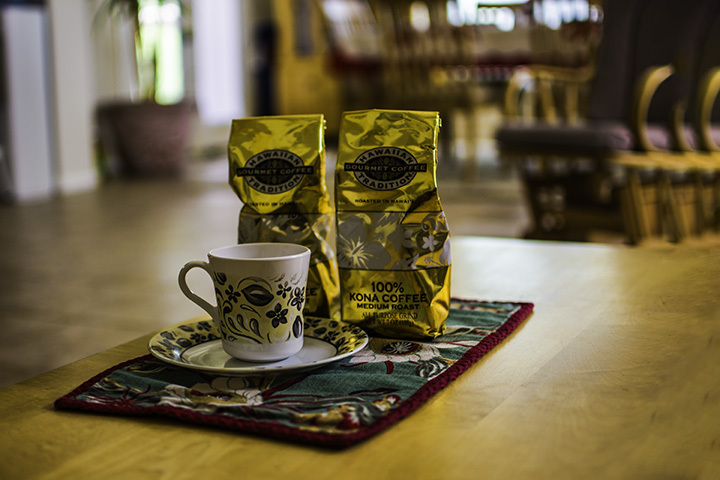 Kona coffee is one of the most rare and costly coffee brands. It’s expensive because of the high amount of work to grow and process this type of coffee. Plus, farmers typically produce only a relatively low amount of beans every year. They gather the beans from August to January, yielding roughly 15 pounds of the “cherry” of the tree. Inside the cherry are the coffee beans which determines how growers will label the coffee product. For example, there is Type I or Type II coffee. Growers categorize the beans on its shape, number of beans in the cherry, moisture content, size and purity. Once growers process and roast the beans, they pack and distribute them based on this classification. Visitors to Hawaii can attend a variety of culinary tours. However, visiting where Kona coffee is from should be a priority to any coffee devotee. Visitors can enjoy tours of coffee farms on the Big Island or meander through the former Greenwell Store. This is now a museum about coffee growing in Kona. Here, there are wide range coffee products. Try their coffee-flavored chocolates, nuts, spices and honey and coffee-infused lotions, balms and fragrances. Another popular location to visit is the Kona Coffee Living History Farm. Henry Nicholas Greenwell first started the farm in 1870’s. Then coffee farmer Daisaku Uchida operated it from 1913. You can take tours of the orchard, mill and the farmhouse for a small fee. Many consider coffee from Kona one of the greatest treasures of Hawaii. So every year in November, Hawaii residents and visitors can enjoy this delicious beverage at the annual Kona Coffee Cultural Festival. This is the oldest food festival in Hawaii, having been celebrated on the Big Island for almost 50 years. It offers special events, coffee tastings and historical tours. Here you can sample coffee from over 30 farms. Take community coffee-picking excursions. Join coffee making seminars. Participate in a coffee recipe contest. Or tour coffee farms and many more. Plus, there’s even a Miss Kona Coffee Pageant. Whatever event guests decide to attend, each day will be infused with a taste of Kona’s finest. Devoted coffee lovers should consider adding the Kona Coffee Cultural Festival. It can be one of the most memorable activities while on vacation on the Big Island.